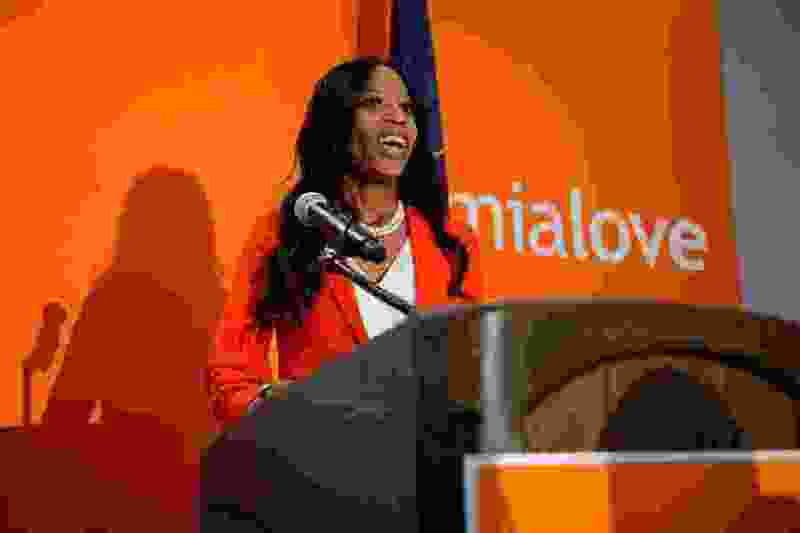 It didn’t take Mia Love long to find work. The former Utah congresswoman — who skipped most of the lame-duck session after she lost her re-election bid to Ben McAdams, has signed on with CNN as a political commentator. Brian Stelter, who anchors “Reliable Sources” on the cable channel, tweeted early Monday morning that Love and former Illinois Rep. Luis Gutierrez had gone “straight from Capitol Hill to CNN” — that they both were CNN commentators as of Monday. And CNN confirmed that news. Love and Gutierrez appeared on CNN's “New Day” on Monday morning to talk about the ongoing partial shutdown of the federal government. “You have a president who said if he didn’t get a wall, he would own the shutdown,” Love said. “There was no leverage. There was nothing that would set the precedent for a really good deal or compromise in Congress." Love had a sometimes-contentious relationship with President Donald Trump. Before the votes had all been counted in November, Trump said Love lost because she distanced herself from him and “gave me no love.” In return, Love criticized Trump — and took aim at McAdams, in a bitter post-election news conference. The “unleashed” distribution echoed that of her concession speech last November, when she called her Democratic rival, Ben McAdams, a “wolf in sheep’s clothing” and criticized Trump and the Republican Party for not making people of color feel welcome in the GOP. Gutierrez, a Democrat from Illinois, retired from Congress after serving for 26 years. Love narrowly lost her bid for a third term. McAdams, the Democrat who bested Love in a fiercely fought and tightly won race, declined to comment on Love’s new job. Former Rep. Jason Chaffetz, a Utah Republican who resigned from office midyear and took a gig as a Fox News contributor, said he’s happy for Love and that she’ll do well in her new role. “More power to her,” Chaffetz said, noting that it's a much different job than being a lawmaker. Chaffetz wouldn’t reveal how much his Fox News gig pays but said he’s doing “pretty well” and wouldn’t speculate on how much Love might be getting paid for her new contract. Jason Perry, director of the University of Utah’s Hinckley Institute of Politics, says Love’s TV role will give her a new venue to espouse her views and keep her in the spotlight. Love did not return requests for comment.